On March 11, Roche (SIX: RO, ROG; OTCQX: RHHBY) announced that the US Food and Drug Administration (FDA) has granted accelerated approval to Tecentriq® (atezolizumab) (an anti-PD-L1 monoclonal antibody), plus chemotherapy (Abraxane® [paclitaxel protein-bound particles for injectable suspension (albumin-bound); nab-paclitaxel]), for the treatment of adults with unresectable, locally advanced or metastatic triple-negative breast cancer (TNBC) in people whose tumors express PD-L1, as determined by an FDA-approved test. “The FDA approval of this Tecentriq combination is an important treatment advance for people with PD-L1-positive, metastatic triple-negative breast cancer, a disease with high unmet medical need,” said Sandra Horning, MD, Roche’s Chief Medical Officer and Head of Global Product Development. 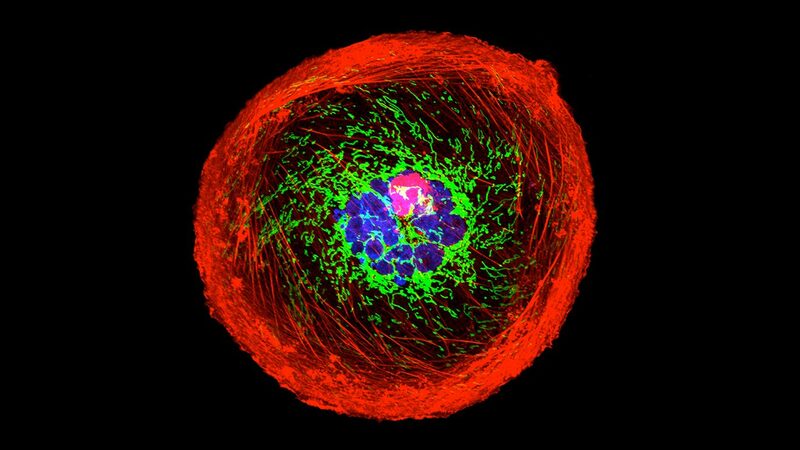 “This Tecentriq combination is the first cancer immunotherapy regimen to be approved in breast cancer, representing a meaningful step forward in the understanding of this disease.” This indication is approved under accelerated approval based on progression-free survival (PFS). Continued approval for this indication may be contingent upon verification and description of clinical benefit in a confirmatory trial(s). The FDA’s Accelerated Approval Program allows conditional approval of a medicine that fills an unmet medical need for a serious or life-threatening disease or condition. This accelerated approval is based on data from the Phase III IMpassion130 study, which demonstrated that Tecentriq, plus nab-paclitaxel, significantly reduced the risk of disease worsening or death (PFS) by 40% compared with nab-paclitaxel alone (median PFS=7.4 vs.
As sometimes happens in science, a seeming failure can occasionally lead to great success. That is the hope of University of Minnesota scientists Michael Olin (left in photo), PhD, and his colleague Chris Moertel (right in photo), MD, who have co-founded a new company, OX2 Therapeutics, together with Californian biotech entrepreneur Sumant Dhawan, in order to advance a promising peptide molecule into phase 1 human clinical trials for the treatment of glioblastoma, one of the deadliest brain tumors in humans. The peptide interferes with the dual paired receptor (CD200R1/CD200AR) immune checkpoint system to counter glioblastoma’s overproduction of soluble CD200 (originally named OX2) that acts to suppress the body’s immune response against the cancer. Drs. 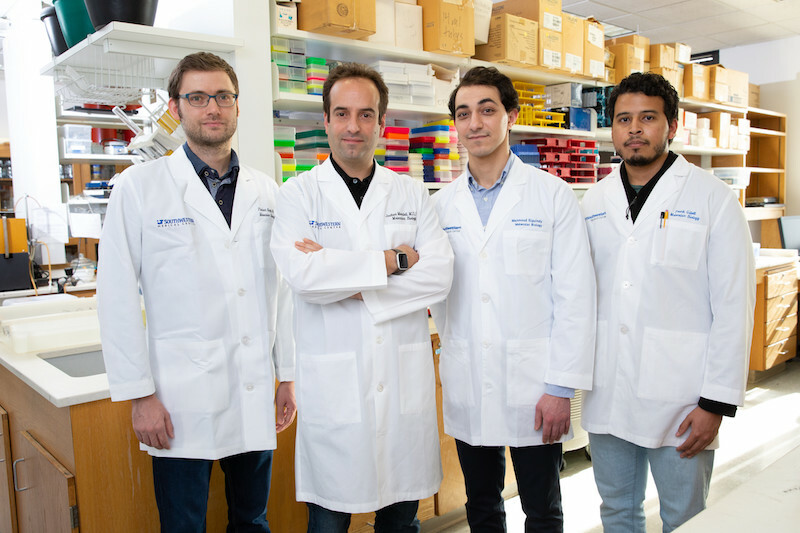 Olin and Moertel say that their team has developed a small peptide inhibitor (15 amino acids) to interfere specifically with this CD200 checkpoint inhibition system to empower the body’s own immune system to attack and defeat glioblastoma multiforme (GBM). In fact, based in part on the success of the addition of this peptide to tumor lysate vaccines in extending the lifespan of brachycephalic (short-nosed) dogs that naturally develop glioblastoma, CMO Dr. Moertel said that he “anticipates” that a phase 1 clinical trial of this peptide will begin in mid-summer 2019. This trial will be led by neuro-oncologist Elizabeth Neil, MD, Assistant Professor of Neurology at the University of Minnesota, and will include 14-18 adult glioblastoma patients who have experienced recurrent glioblastoma. Following successful treatment of 3 adult patients, the researchers plan to enroll 14-18 pediatric patients with recurrent glioblastoma, medulloblastoma, and/or ependymoma in a second arm of the trial, to be led by Assistant Professor Emily Greengard, MD, Department of Pediatrics at the University of Minnesota. Dr.
Building upon their earlier discoveries, researchers at the University of Texas (UT) Southwestern have identified a new genetic pathway that prevents premature aging. Published online on February 8, 2019 in eLife, the study investigated the activity of the gene NORAD, which codes for a long noncoding RNA. The title of the article is “PUMILIO Hyperactivity Drives Premature Aging of Norad-Deficient Mice.” NORAD, which stands for “noncoding RNA activated by DNA damage,” is present in many mammals and helps maintain the appropriate number of chromosomes as cells divide. Many RNAs in the cell serve as the instructions, or code, for building proteins, whereas noncoding RNAs do not encode proteins. “There are many questions in the scientific community regarding the importance of noncoding RNAs in mammalian physiology and development,” said Dr. Joshua T. Mendell, Professor of Molecular Biology at UT Southwestern and senior author of the study. “Our cells produce thousands of these RNAs, but only a few have been connected to important functions in animals.” In 2015, the researchers reported their discovery of NORAD and demonstrated the importance of this noncoding RNA in maintaining the correct number of chromosomes in human cells. With their previous work limited to cells grown in the laboratory, the researchers next examined the role of NORAD in a living animal, in order to better understand the gene’s function in mammalian physiology. To accomplish this, Dr. Florian Kopp, a postdoctoral researcher in the Mendell lab and lead author of the eLife study, genetically engineered mice by deleting NORAD from the mouse genome. As has previously been found in human cells, the loss of NORAD caused chromosomal defects in mice. But there were also some unexpected changes to mitochondria, the energy powerhouses of the cell. Researchers on the path to finding a cure for spina bifida have identified specific elements in stem cell secretions as key to protecting neurons and ultimately reducing the lower-limb paralysis associated with the birth defect. Those elements are exosomes (sub-cellular, membrane-bound vesicles that can transfer molecules from cell to cell) and a small carbohydrate-binding protein known as galectin 1. The research team will use the results to optimize the neuroprotective qualities of a stem cell treatment they have developed to improve the mobility issues associated with spina bifida. The new results were published online on February 12, 2019 in The FASEB Journal. The study was led by Aijun Wang (photo), PhD, Co-Director of the UC Davis Health Surgical Bioengineering Laboratory, and the article is titled “Neuroprotective Effect of Placenta-Derived Mesenchymal Stromal Cells: Role of Exosomes.” UC Davis Health fetal surgeon, and study co-author Diana Farmer, MD, Chair of the UC Davis Department of Surgery, first showed that prenatal surgery reduces neurological defects in children with spina bifida, which occurs when the spinal cord does not properly close before birth. Children with the condition experience a range of lifelong cognitive, urological, musculoskeletal and motor disabilities. Dr. Farmer, and Dr. Wang, her chief collaborator, later showed that prenatal surgery combined with human placenta-derived mesenchymal stromal cells (PMSCs) improved hind limb control in lab animals and dogs with spina bifida. Dr. Farmer is a Diana Farmer is a leader in research and surgical approaches to reduce the effects of spina bifida on children. “We wanted to know the specific mechanisms of action of the PMSC treatment that protect neurons,” Dr. Wang said. Her great-grandmother volunteered in ground-breaking cholesterol research at the University of Texas (UT) Southwestern Medical Center. Now, 9-year-old Zoe Allen is benefiting from that decision. Four generations of women, who all have the same hereditary condition – familial hypercholesterolemia – form a story interwoven with the discovery of new treatments that have benefited millions of people. In 1987, Kathryn Geddie was a 33-year-old mother of two. At her annual physical, she told her doctor that her mother had extremely high cholesterol levels at a young age. After testing, Kathryn learned she had the same condition and began taking statins. “My mother is the reason that I was tested. My physician began treating me in 1987 because my cholesterol was in the upper 300s,” remembered Kathryn, now 64. Kathryn’s immediate concern drove her to have her then 11-year-old daughter, Shanon, tested. Despite her young age, Shanon’s cholesterol was soaring at 400 mg/dL. The normal range is less than 200. Little did the family know then that their shared struggle with high cholesterol would lead them on a road to reverse the disease – one paved by the generation that came before them. (Photo here shows Kathryn, Shannon, & Zoe--See additional, larger pics at end of this article). In the early 1980s, Kathryn’s mother, Estelle, took part in leading-edge research at UT Southwestern Medical Center where molecular genetics professors Drs. Michael Brown and Joseph Goldstein were seeking answers to how people develop high cholesterol. These scientists identified the basic mechanism of cholesterol metabolism, which led to their being awarded the 1985 Nobel Prize in Physiology or Medicine. Soon after this discovery, statins were developed to lower cholesterol and help prevent heart disease. Thousands of adult patients benefited. However, there were unknown risks for children. Treatment for metastatic pancreatic cancer (pancreatic ductal adnocarcionoma or PDA) has seen progress in recent years, but outcomes remain poor and treatment advances that can prolong patients’ lives, even for a few months, are eagerly awaited. Two papers, just published online on March 4, 2019 in Nature Medicine (https://www.nature.com/articles/s41591-019-0368-8) (https://www.nature.com/articles/s41591-019-0367-9), suggest that a new combination of two existing drugs (an autophagy inhibitor and an inhibitor of the downstream metabolic pathway activated by mutated KRAS), which are both already FDA-approved for other conditions, may significantly delay progression of pancreatic cancer in human PDA cells in vitro and in PDA-derived tumors in mice. Furthermore, the first patient treated with this combination experienced a prolonged response that lasted almost six months. In light of these promising results, Cancer Commons (https://www.cancercommons.org/) is partnering with xCures (https://www.xcures.com/) to track the experiences of patients who choose to try this new combination therapy. This effort is particularly relevant given the March 6 announcement by TV Jeopardy game show host Alex Trebek that he has been diagnosed with stage 4 pancreatic cancer. The two Nature Medicine studies came from The Huntsman Cancer Institute at the University of Utah and from the Lineberger Comprehensive Cancer Center at the University of North Carolina at Chapel Hill. 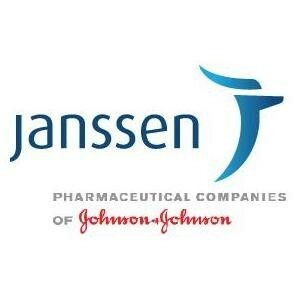 On March 5, 2019, Janssen Pharmaceutical Companies of Johnson & Johnson announced that the U.S. Food and Drug Administration (FDA) has approved SPRAVATO™ (esketamine, a derivative of ketamine) CIII nasal spray for use, in conjunction with one of a number of existing oral antidepressant, in adults with treatment-resistant depression (TRD). People who are currently struggling with major depressive disorder (MDD) are considered to have TRD if they have not responded adequately to at least two different antidepressants of adequate dose and duration in the current depressive episode. It is estimated that approximately one-third of U.S. adults with MDD have TRD. "It was hard to have any emotions, because I was just numb," said Robin P., an esketamine clinical trial patient. "When I began treatment with esketamine and my symptoms started to lift, I could see very clearly just how depressed I had been. I'm now able to appreciate a wider range of emotions than when I was depressed. My long-term goals have taken shape and actually seem attainable." Esketamine is the s-enantiomer of ketamine. Ketamine is a mixture of two enantiomers (mirror-image molecules). This is the first FDA approval of esketamine for any use. The FDA approved ketamine (Ketalar) in 1970. "SPRAVATO™ has the potential to change the treatment paradigm and offer new hope to the estimated one-third of people with major depressive disorder who have not responded to existing therapies," said Mathai Mammen, MD, PhD, Global Head, Janssen Research & Development, LLC. "This unique and innovative medicine is a testament to Janssen's heritage of advancing solutions in neuroscience to heal minds and improve health outcomes." 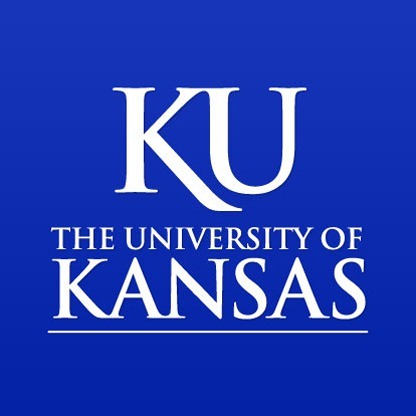 A new ultra-sensitive diagnostic device invented by researchers at the University of Kansas, The University of Kansas Cancer Center, and the KU Medical Center could allow doctors to detect cancer quickly from a droplet of blood or plasma, leading to timelier interventions and better outcomes for patients. The “lab-on-a-chip” for “liquid biopsy” analysis, reported online on February 25, 2019 in Nature Biomedical Engineering, detects exosomes — tiny parcels of biological information produced by tumor cells to stimulate tumor growth or metastasize (Editor’s note: exosomes are also released by all other cells that have been studied, but tend to be produced in greater quantities by cancer cells). The article is titled “Ultrasensitive Detection of Circulating Exosomes with a 3D-Nanopatterned Microfluidic Chip.” “Historically, people thought exosomes were like ‘trash bags’ that cells could use to dump unwanted cellular contents,” said lead author Yong Zeng, PhD, Docking Family Scholar and Associate Professor of Chemistry at KU. “But in the past decade, scientists realized they were quite useful for sending messages to recipient cells and communicating molecular information important in many biological functions. Basically, tumors send out exosomes packaging active molecules that mirror the biological features of the parental cells. In work reported online on February 25, 2019 in Nature Biotechnology, Ludwig Cancer Research scientists in Oxford, UK, have described a new and improved method to detect chemical modifications to DNA. 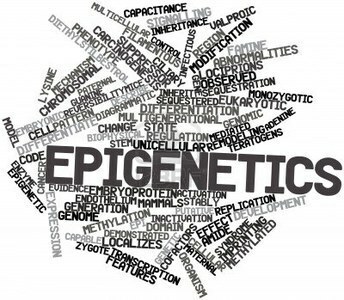 These modifications -- or "epigenetic" marks -- help control gene expression and their aberrant distribution across the genome contributes to cancer progression and resistance to therapy. The article is titled “Bisulfite-Free Direct Detection of 5-methylcytosine and 5-hydroxymethylcytosine at Base Resolution.” Led by Dr. Chunxiao Song and Dr. Benjamin Schuster-Boeckler, both assistant members of the Ludwig Institute for Cancer Research, Oxford, the study demonstrates that their method, dubbed TET-assisted pyridine borane sequencing (TAPS), is a less damaging and more efficient replacement for bisulfite sequencing, the current gold standard for mapping epigenetic modifications to DNA. "We think TAPS could directly replace bisulfite sequencing as a new standard in DNA epigenetic sequencing," said Dr. Song. "It makes DNA epigenetic sequencing more affordable and accessible to a wider range of academic research and clinical applications." One class of epigenetic modifications involves the attachment of chemical groups to one of the four "letters," or bases, of DNA. These marks do not alter the DNA sequence itself, but rather influence the switching on and off of genes. Two of the most common modifications of this type involve the addition of chemical methyl and hydroxymethyl groups to cytosine to create 5-methylcytosine (5mC) and 5-hydroxymethylcytosine (5hmC). "Abnormal patterns of 5mC and 5hmC abundance are classic hallmarks of cancer," Dr. Song said.